Do you ever wonder if the files you're trashing on your Mac are actually trash? Let's say there are 80 million computer owners running Mac OS. If each user trashes at least 10 files each day, that's 800 million deleted files that cease to exist every 24 hours. If that doesn't sound like a lot to you, a month would equal 24 billion junked files, a year—nearly 1 trillion. But what may be trash to you could be gold for someone else. 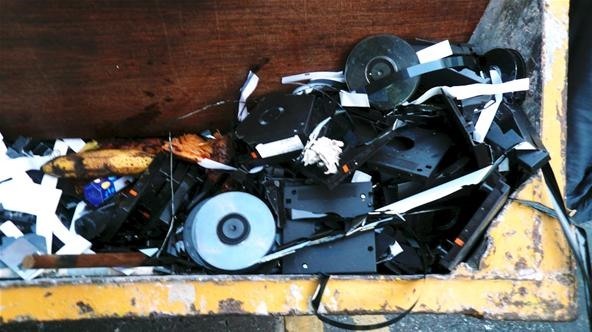 Personally, I trash about 50 music files each month that I get from Amazon, eMusic and other music sites online. Why? Because once I copy them into my iTunes library, there's no need for the original file. Why would I want duplicate files on the same hard drive? Sure, I could transfer one to an external, but I'd much rather just keep my iTunes library backed up. So, I trash them. Those junk MP3s could be very beneficial to someone else with similar music tastes. Same goes for artwork. What if you're not happy with some of the vector art you created in Illustrator? Or an image you snapped with your digital camera? Or a texture you designed in Photoshop? You may consider it trash, but to others, you may be a creative genius. Wouldn't it be nice if there was a way that you could still trash your junk files while giving them a happy home somewhere else to someone in need? 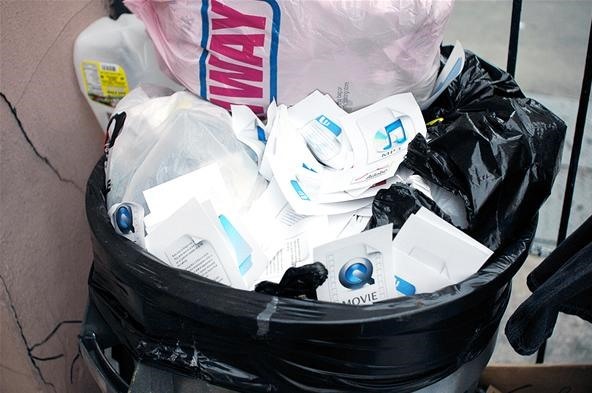 As the video states, Dumpster Drive is a file-sharing application for digital trash. If you're into dumpster diving, this is right up your alley—without the nose plugs and grease stains. From creator Justin Blinder: "Dumpster Drive allows others to dig through files that you delete on your computer in a passive file-sharing network. Instead of simply erasing data from your computer, the software allows users to extend the lifecycle of their unwanted files and pass them on to others." It has been done before in a less accessible manner, but Dumpster Drive is definitely worth exploring, especially since it's completely anonymous. Dumpster Drive does not utilize user account information, nor does it log a user's IP address. How is this different than most peer-to-peer file sharing networks? A file from the virtual trash can is allowed to be downloaded only once. After it has been downloaded from the server, it no longer exists for anyone else. Just like dumpster diving. Is there any risk? With any sharing application, there's always risk. If you were to accidentally dump files with personal information, it could pose a security threat, and if you download a computer virus, your Mac may hate you for it. But it comes with the territory, especially from something rumored to be an art installation. As of right now, Dumpster Drive works only on Mac OS X 10.6 and above. Download it here. Still curious of how it works exactly? Check out the instructions. interesting! i'll have to check this out. i'd be afraid of accidentally dumping personal files in there. how is this not piracy? well, it's not piracy in that you're giving a file away, and it gets removed from the drive once it's downloaded. and you're not putting it up for sale. Like the idea of dumping my emusic files after i've copying them to my itunes. thanks for sharing that.